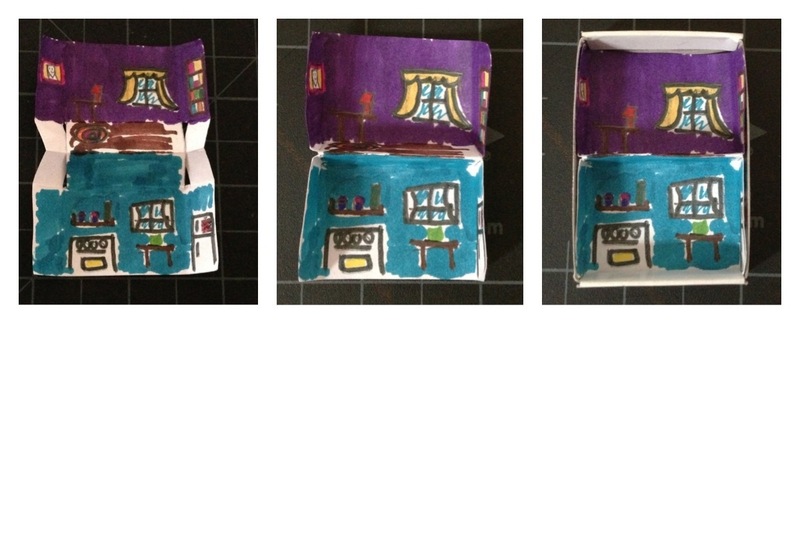 I saw Margaret’s matchbox dollhouse on Homemade City and thought it was so cute. Of course, I then got to thinking that it would be even more fun to have a tiny paper doll and furniture. Here’s my daughter’s version. She made a brownstone. Such a city kid. Margaret has really cute templates that you just need to color in, but I had to tweak the interior to make an actual floor. You can download my plain templates and furniture here. Cut out the interior and the slits as marked by the darker lines. You can decorate now or after you’ve folded. 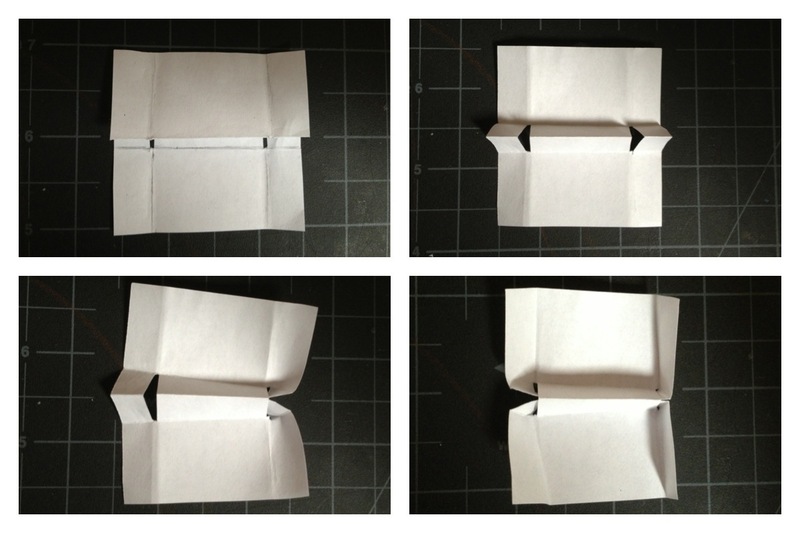 Fold the page in half and along the fold lines above and below the middle fold. Fold along the sides perpendicular. The little “tabs” that form from the folding will then be tucked between what will become the second floor. It may take a bit of fiddling, but a little trim of the slits and they should slide in pretty easily. Now just glue it into your match box. I love the brownstone and 3-d furniture–brilliant!